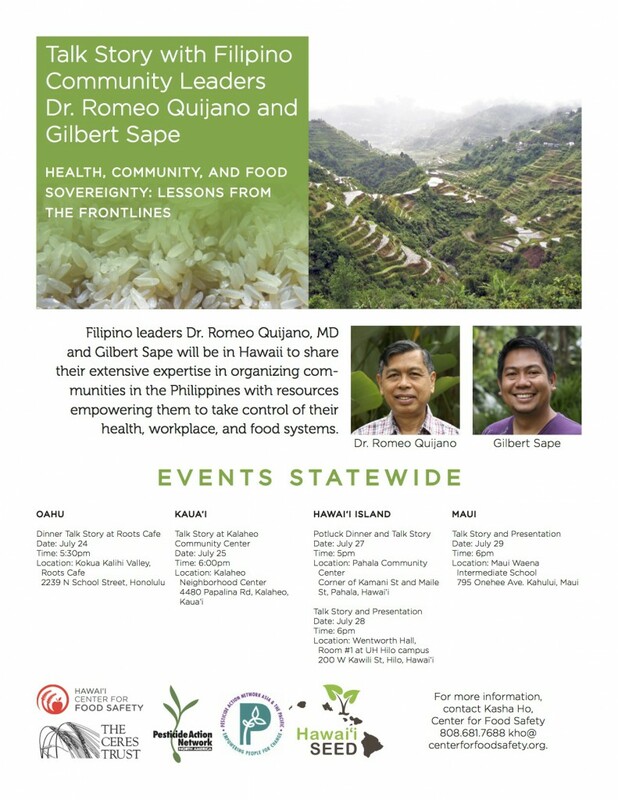 Filipino leaders Dr. Romeo Quijano, MD and Gilbert Sape are coming to Hawaii to share their experiences organizing in the Philippines and empower communities with resources to take control of their health, workplace, and food systems. They will share their international experience and expertise in toxicology, pharmacology, toxic chemicals, and how the precautionary principle applies to agricultural practices and community wellness. Both will highlight the important role Filipino history and cultural values can play in empowering communities who are demanding corporate responsibility, accountability, and fair, safe working and living environments.